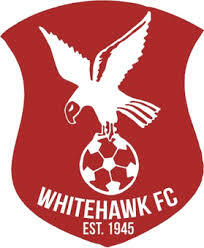 It's been a long hard season already for Vanarama South side Whitehawk FC. They are routed to the bottom of the table with a playing record of no wins, four draws and seventeen defeats in their twenty one league games played so far. It will take a drastic turn in form for the club to avoid relegation back to the Isthmian Premier - they are currently seventeen points off safety with a goal difference of -43 which is the worst in the league by a long way from both Bognor Regis Town and Gloucester City on -12. Their oppening league game was at Hemel Hempstead Town which they lost 0-3 and their last league game was at home to The Tudors which they lost 0-5. Their starting line up has changed somewhat since then if we look at the below comparison with only Ramone Rose, Pape Gueye and Connor Tighe in both. Since August the club have replaced the original manager Jimmy Dack who only took over full time in the summer with former boss Steve King in September. Their lastest line-up includes George Essuman who is on-loan from Vanarama National League side Dover Athletic who has previously played for Enfield Town u21s and Ware and Michael Cain who was on the books at Leicester City and has played on loan at Walsall making 32 apperarances in 2014/15. Ky Marsh-Brown was on the books at Brentford academy last season and briefly played for Egham Town and Bedford Town at the beginning of this season. Ky is the younger brother of Forest Green Rover's player Keanu - Their younger brother Kwai is also on the books at The TerraPura Ground. Sam Chaney is on-loan from Vanarama National league side Torquay United. It have been announced today that Steve King has signed centre-back Yannis Ambroisine who has joined from Bostik Premier side Leatherhead. He is also joined by Sam Donkin (goalkeeper) who has had spells with Corby Town, St Neots Town, Biggleswade Town, Biggleswade FC and Stamford where he was crowned supporter's club player of the year last season. Young defender Caden Genovesi has also joined from Championship side Queens Park Rangers until the end of the season. In their last game out they narrowly lost 1-2 to St Albans City in the FA Trophy who are pushing for a play-off place in the Vanarama South. The Hawks face a trip to East Thurrock United who aside from a recent 1-5 defeat to Hampton and Richmond Borough are in good form as they have won four of their last five league and cup games including a stand-out 4-0 victory over Vanarama National side Aldershot Town. Over the Christmas period they face two local derby games against Eastbourne Borough. Could The Hawks pick up their first win in one of these games?